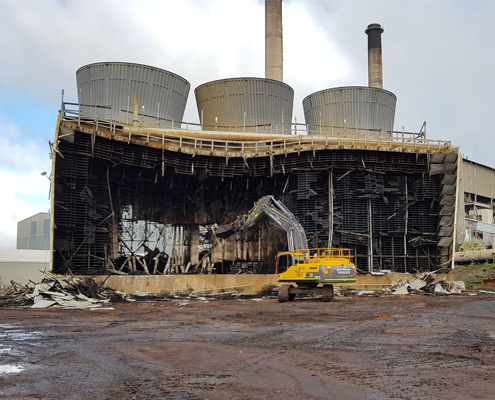 Liberty Industrial carried out the demolition of a coal stacker and reclaimer at Port Kembla Coal Terminal to make way for new machinery. The works formed part of a broader terminal restoration project. 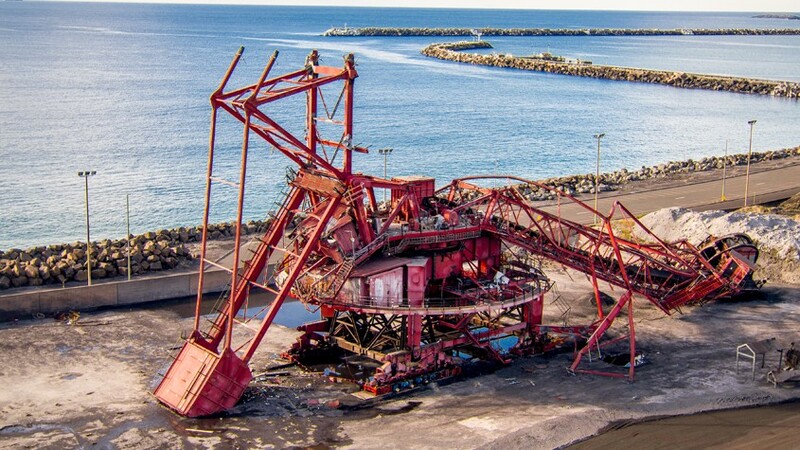 Normally, for a demolition of this nature, a complete shutdown of key operational assets, such as coal conveyors, bunkers, and ship loaders, would have been required. 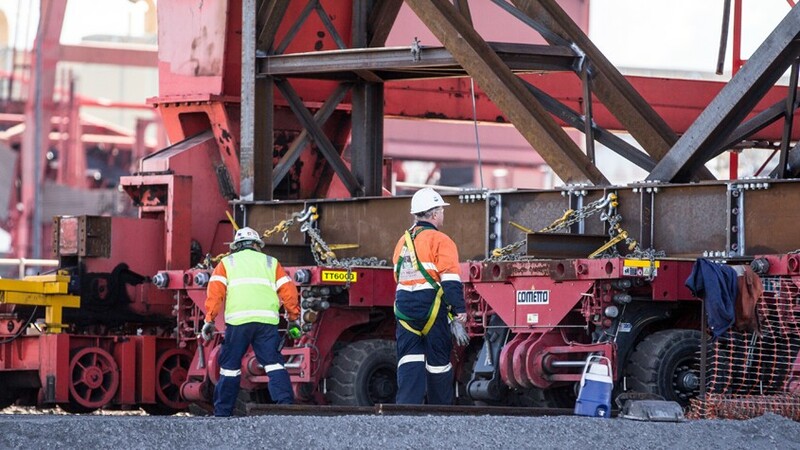 Liberty Industrial’s developed a demolition methodology that enabled all preparatory works to be carried out without disruption to the coal terminal’s operations, keeping shutdowns to a minimum. 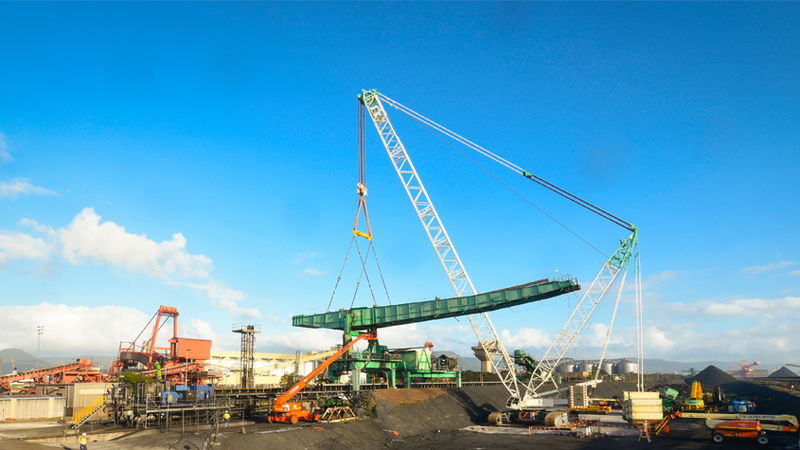 The 1250 tonne reclaimer was transported from the operational coal terminal to a dedicated demolition area. Once the structure was safely positioned in the processing area it was preweakened in order to facilitate explosive demolition with cutting charges. Explosives were used to safely reduce the structure to a suitable height for mechanical processing. 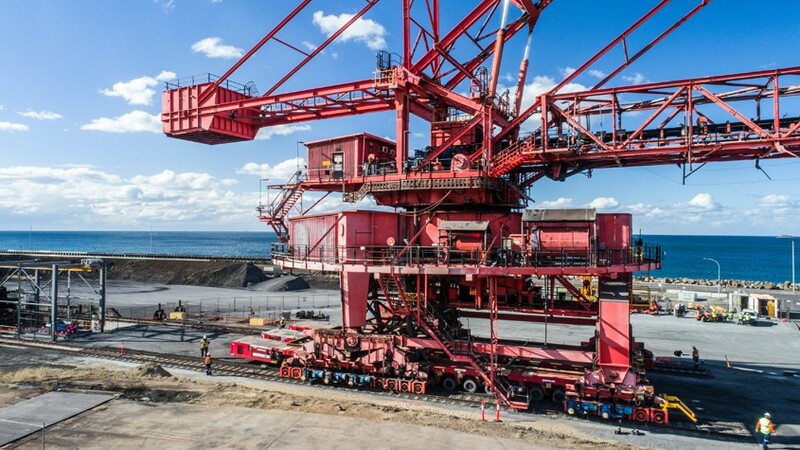 The 400 tonne stacker was dismantled insitu, over live operational conveyor lines utilising a 600t crawler crane. The stacker was dismantled in a choreographed sequence designed to maintain the structural stability of the structure. 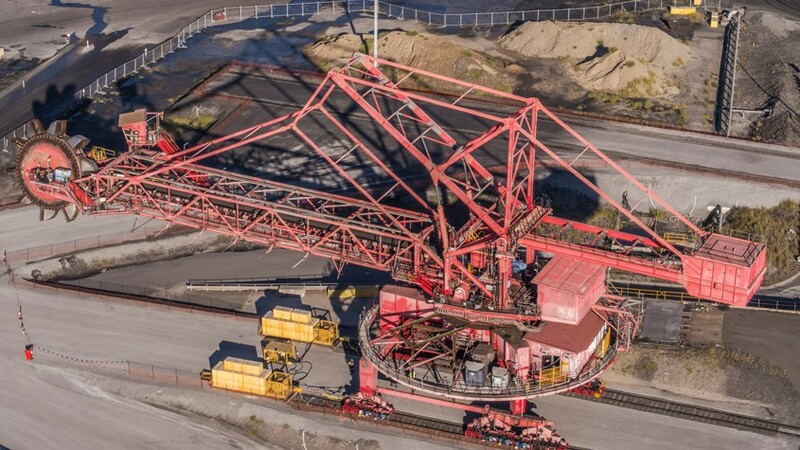 Sections of the stacker weighing up to 140 tonnes were rigged to the 600 tonne crawler crane, separated from the remaining and lifted down for downsizing and removal. 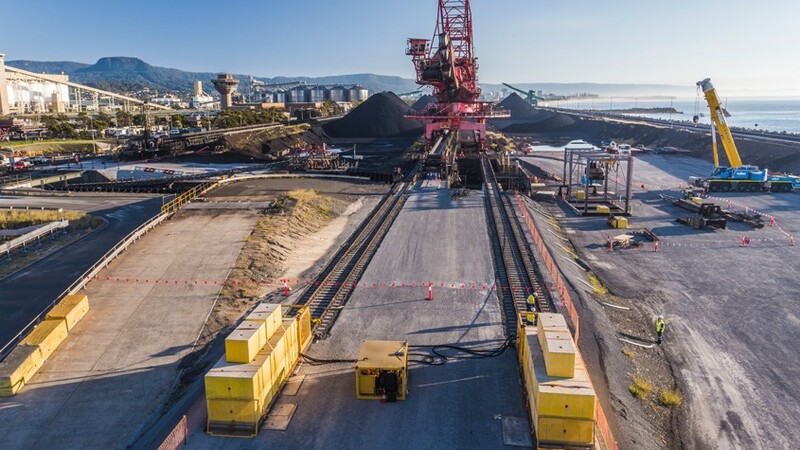 Achieving minimal disruption to the operational coal terminal facility was critical to the project’s success. 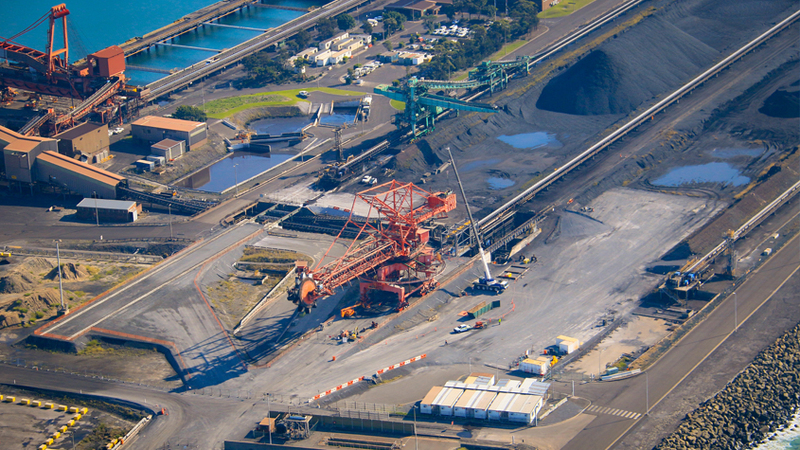 With demolition occurring within close vicinity to operational coal handling infrastructure, extensive planning and coordination were key to the successful completion of the works without significant disruption to the terminal’s operations. 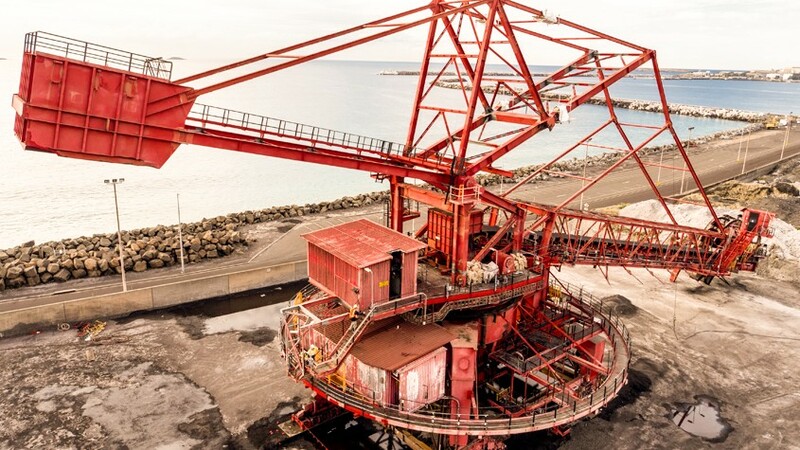 After the safe and successful blast, which induced the collapse of the boom and counterweight frames, 70 tonne and 36 tonne excavators fitted with shear attachments were used to process the structure for removal and recycling off-site. Dismantling of Coal Stacker: The coal stacker was also straddling an operational conveyor line. Relocating the machine was not an option due to the configuration of the site. 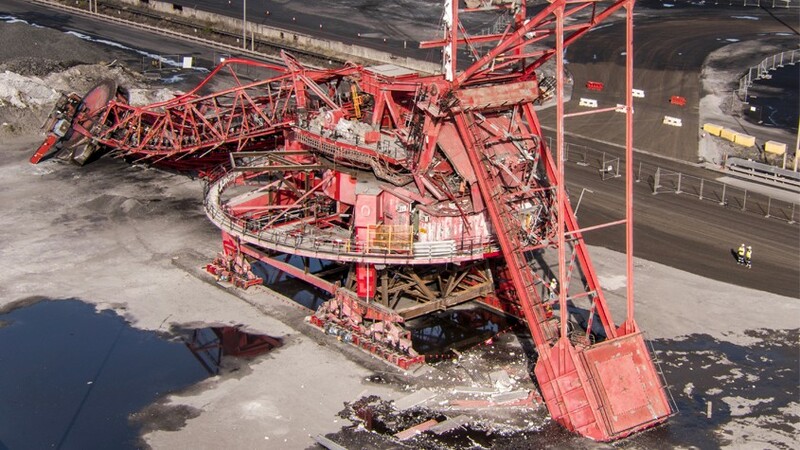 In this instance, the site configuration did not permit the relocation of the machine so a methodology similar to the demolition of the reclaimer could not be employed. 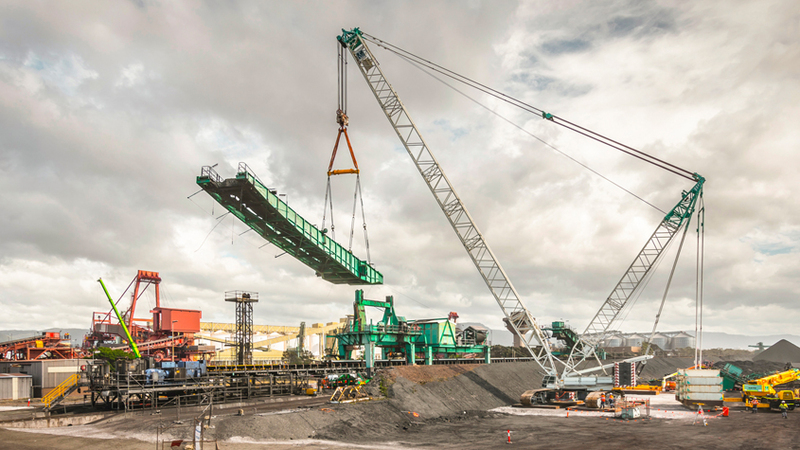 Instead the structure was progressively dismantled using a 600 tonne crawler crane located within the operational stockyard. This was carried out with minimal impact on the site’s operations. Prior to the deconstruction, engineered lift studies and structural engineering assessments of the lifts were completed. The structure was then prepared accordingly, which involved removal of certain equipment to reduce the gross weight and adjust the centre of gravity, as well as local strengthening of the structure to ensure the stability of each lift. The structure was progressively dismantled, with some sections weighing up to 140 tonnes. Upon completion of each lift, the dismantled sections were downsized at ground level using a combination of oxy cutting and mechanical shearing. The processed materials were then removed from site for recycling. The overall project also involved the salvage of a large range of items including drive units, electrical cabinets and controllers, cable reelers, electrical transformers etc., which were retained as spare parts for the machines still in operation within the terminal. The salvage was undertaken before the demolition works were carried out to minimise any damage to the equipment. 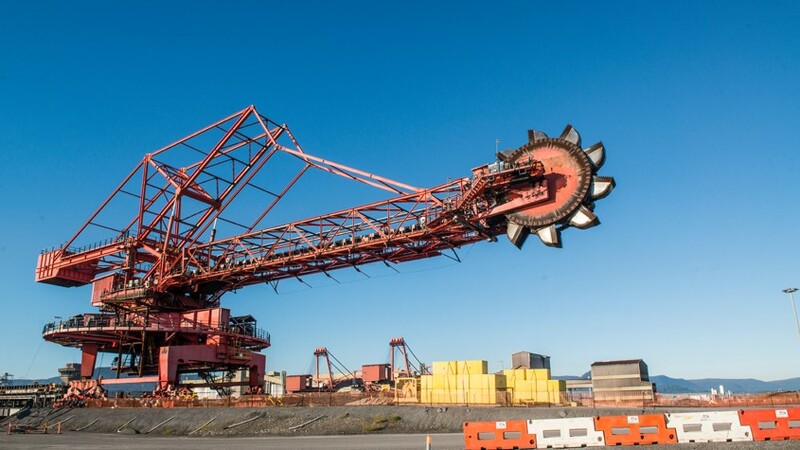 A significant part of the works described above would have normally required a complete shutdown of key operational assets including coal conveyors, bunkers and ship loaders. However the demolition methodologies proposed by Liberty Industrial allowed for all preparatory works to be carried out without disruption to the terminal’s operations, keeping shutdowns to minimum occurrences and durations. Following the safe and successful demolition of the stacker and reclaimer, Liberty Industrial have been engaged to undertake further demolition work at the Terminal. 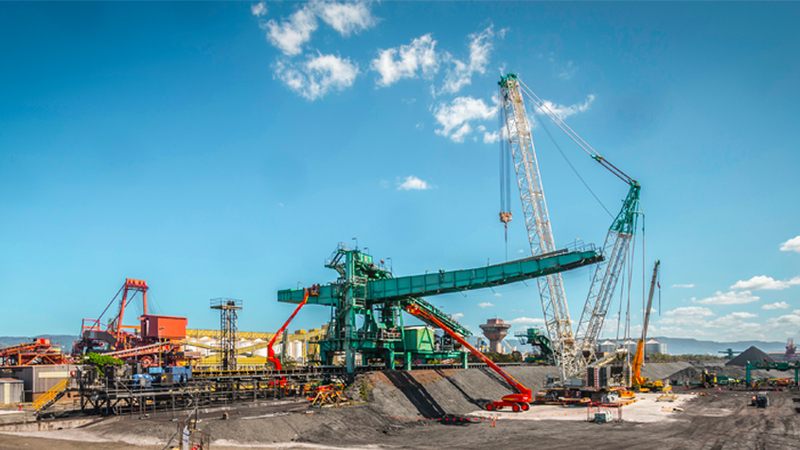 Liberty Industrial will dismantle another two stackers and another reclaimer, following the commissioning of new coal handing infrastructure at the terminal.